It’s 2018, and Burger King is now America’s moral compass. The company has taken a stand on net neutrality, has run an anti-bullying campaign, and gave a terminally ill dog free burgers for life. 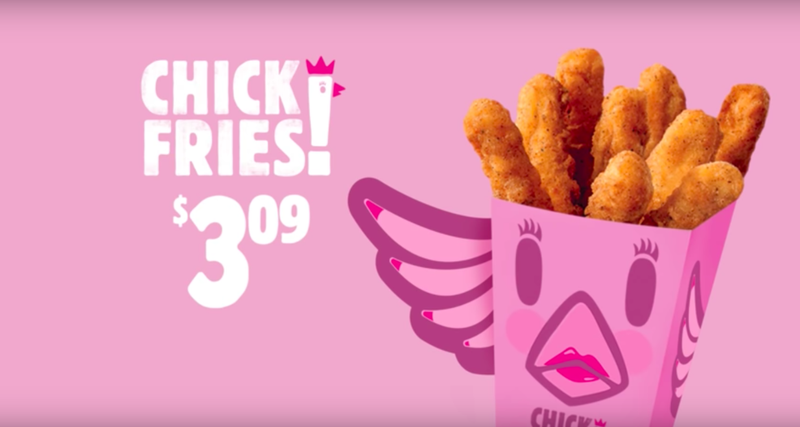 So it would seem like the burger chain’s latest video calling attention to the “pink tax” (when products marketed to women cost more than the equivalent men’s product) is just another do-good social campaign. Except that B.K. declined to comment about gender pay equity at its own company. Whoops. That latter detail comes to us courtesy of Nation’s Restaurant News reporter Gloria Dawson (the first-ever recipient of The Takeout’s Reporter Of The Week Award), who followed up news about Burger King’s “pink tax” video with a simple question to the company: So, uh, how does pay gender equity look at Burger King and parent company Restaurants Brands International Inc.? Burger King had to imagine someone would ask that question, right? If your company is going to make a video taking a stand on a social issue, best to get your own ducks in a row before getting all self-righteous. This would have been a prime opportunity for B.K. to come back with “Actually, we have demonstrable pay equity across all corporate levels and in fact, here’s an awesome new women’s leadership initiative.” But that’s just this lady’s two cents. Editor’s Note: After this story was published, a woman named Asha Dahya reached out to The Takeout, saying Burger King used an idea of hers to create this video. As the founder of GirlTalkHQ.com, Dahya created this video in conjunction with an agency called BBDO a few years ago. Watch the two videos, and you can decide for yourself. Guy Fieri launches enthusiastic chicken chain Chicken Guy!